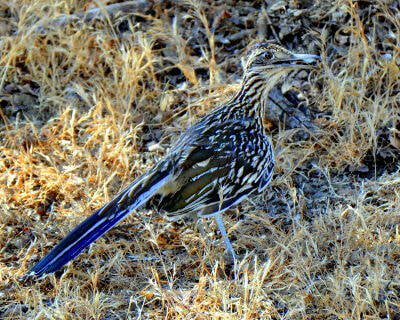 Do you know the state bird of California? 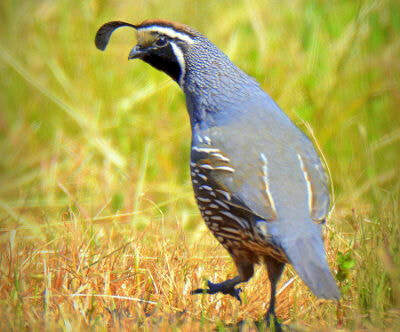 It is the California quail! 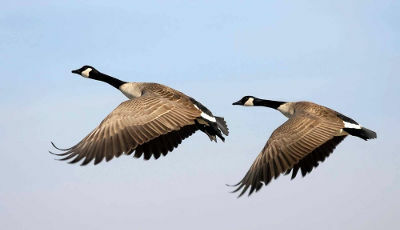 The Canada goose (Branta canadensis) is one of the best known birds in North America. During the year, it is found in every contiguous state and Canadian province. These geese thrive wherever grasses, grains, or berries are available. 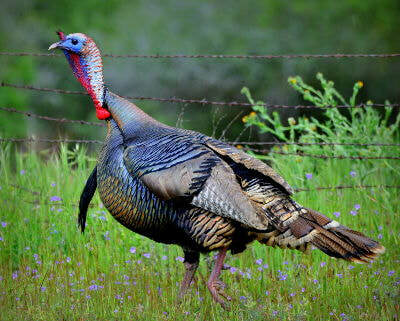 The wild turkey is native to North America and was a favored food of the Native Americans. 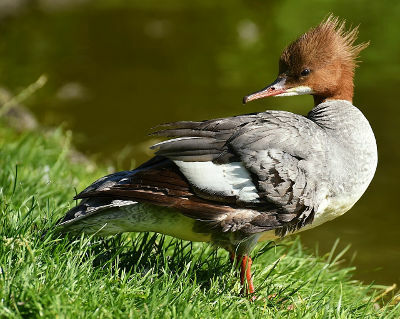 The wild turkey and the Muscovy Duck are the only two domesticated birds native to the Americas. 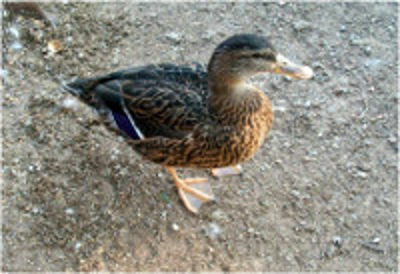 This is the duck most people recognize and can identify. 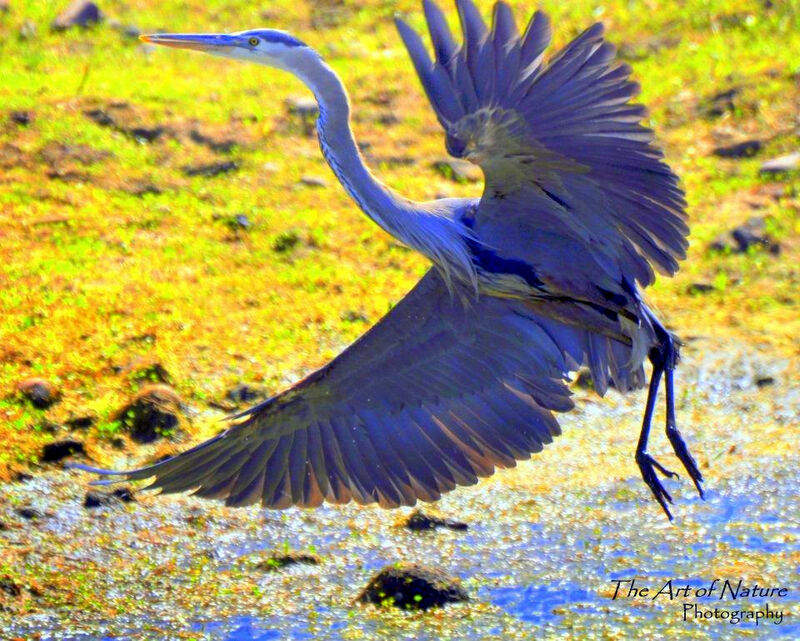 Commonly found in parks and ponds, they are also found in almost any wetland habitat whether it be natural or artificial. All that glitters is not gold, and all that floats is not necessarily a duck. 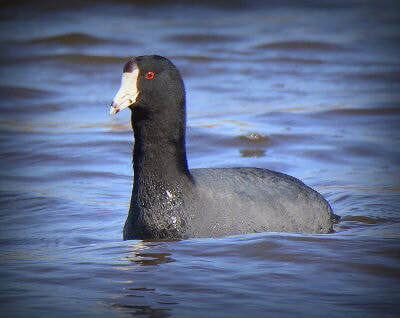 Though you may see an American Coot floating in the water, it is not a duck! Take a leap of faith! At one day old, the mother calls these young ducks to the edge of the nest to take a plunge 10-50 feet down.